A good introduction to the delivery of your presentation is extremely important. The first minute or so sets the stage for the rest of your talk. You should start with an upbeat, positive mood. The first impression you make lasts. You want to quickly gain the attention, interest, and respect of your audience. Your first words should be lively, interesting, clear, and simple. Start by expressing the fact that you’re glad to be there. A statement like, “I’m glad/excited/pleased/thrilled to be here” is almost obligatory. It invites the audience to be glad that they’re there, too. Your excitement is infectious and infuses the session with your energy. If you will be introduced, re-mention your name and re-affirm the most important fact about yourself that the audience will find meaningful, such as your experience with the topic. Otherwise, provide a slightly longer introduction, but just enough to let people know why they should listen to you. Give a brief explanation of your topic, just a little longer than the title of your talk. Don’t give away the secret of your talk, but whet their appetite. Finally, tell the audience why the topic is important to them. What will they have gained by the time the talk is finished? Don’t feel shy to promise that they’ll learn something useful; they really want to know that. The entire opening should only take a minute or two. More than that, and it becomes boring because the audience will be impatient to hear the main content of your presentation. Mention something another speaker said, or a current event, that is related to your presentation. Start with a short, relevant personal story or experience. When you’ve written your introduction/opening, rewrite it and edit it until you like it. Then practice giving it out loud. Practice again. Time it. Record it and listen to it. Make adjustments and practice the new version. You should be able to speak it out without looking at your notes. When you’re done, you’ll have a great opener to your presentation! Did you find this post helpful? Don’t miss out on new tips and get free video training here! Please use the Share buttons below to share this with friends and colleagues, because they need to know how to start a presentation, too! I am 6th grade and I need to do the presentation about Bosnia and Herzegovina… And everyone knows my name because they all are my friends… I think it would be weird for me to introduce myself… What should I do to get people’s attention? You are right that you don’t need to introduce yourself in a classroom of your classmates. One way to get people’s attention would be to find some surprising fact about Bosnia and Herzegovina. Then you could start with, “Do you know that …. ?” For example, you could ask your parents and parents of your friends where they are — show them a map. I bet that almost no one will be able to find them on the map. So you could start with, “Do you know that 90% of people don’t know where Bosnia and Herzegovina are?” Or you could also ask those adults what Herzegovina is. I bet most of them won’t even know it’s a country! So you could start with, “Do you know that 90% of people have never heard of Herzegovina and don’t even know it’s a place? How would you feel if you lived in a place that so many people had never heard of?” This will get their attention! Good luck on your presentation! Hi,i am a 3rd year B.E student.I have to do the presentation about Global Wireless e-Voting.can you please help me, how to start my presentation and how to gain the attention of my audience? hi i am a sophmore , and me and two other ppl r presenting a powerpoint on pandora (a godess) my teacher explained that “we should do an interesting introduction not just say,” my name is…this is a powerpoint on pandora” im not sure how my intro should be. help? Practice more. Videotape yourself and watch the videotape. Practice on your friends. Take a deep breath between sections–it’s good to pause! Don’t be too formal, be more conversational. Ishika, I don’t recognize that name, “lokpal bill.” Is it a person? If so, perhaps you can start with a surprising fact. Good luck! Hi I am a 6th grader and I am doing a presentation on Justin Bieber and I dont know how to start it. Can you please help me? Find some strange or funny fact about him and start, “Did you know that ….? That will get your audience interested. Maybe find a funny photo, too. Good luck! Hello. I am an international researcher at a University and I am supposed to present my project in an international competition in from of a panel of internation judges. How do I introduce myself before I go to the main topic of my presentation? like who I am, where I am from, what do i do? Is it possible to provide me with a sentence? Thank you. There won’t be any introduction for you at all? Not even your name? There won’t be a printed item with the list of presenters? If not, or even if there is, I would work it into the beginning of the presentation rather than a sentence before your topic. Is the competition based on the research — who did the best research? You could simply put your name and university on the title slide under the name of your presentation/research. You don’t need to say anything. Focus on the research. But, if you want to tell a story about how you came to choose this research, that would be interesting and you could incorporate a little about yourself there. Thank you. I will be starting with a story. I had an one on one coaching recently regarding this competition and I had my name and university on my slide just below my topic. After the presentation, one of the judge mentioned that I did not properly introduce myself, like my background, where I am from and so on. The reason was because I have a french accent, and the judge was wondering where I was from an so on. Hi , I am doing a presentation about paper lantern and I don’t know how to start it. Can you please help me? I’m not sure what you could say about paper lanterns, but perhaps start with a question to the audience, asking them what they use them for. Do something to engage the audience. Good luck! i have to give a presentation on my internship.. how do i introduce & start my presentation to have a powerful impact on my examiner??? It’s hard to say, since I don’t know what your internship is about. Perhaps find a famous, philosophical quote and relate it to your internship to show you’ve thought deeply about its implications. Perhaps show a diagram placing the company where you worked in the context of the whole world, so they can see that you appreciate the larger impact of what they’re doing. Perhaps use a diagram showing the skills you learned and how they’ll apply to your professional life. Then go on and elaborate. Good luck! I am a first year business student and me an my group need to do a presentation about the new venture we created. What would be a good introduction and how can we make our presentation interesting and engaging? Rose, have you ever watched Shark Tank on TV? I’d recommend it, because the presentations are always engaging. They demo their product, wear costumes, etc. Aside from that, start by talking about the problem that your venture solves and relate it to the audience. “Have you ever experienced that….? Wasn’t it frustrating? How great would it be if….? Good luck! Hi, i am doing a degree in early years and i have to do a 10 minute power point presentation on language and language theory in the early years. I am a little unsure how to start it because the group i am doing it in front of 5 people who already know my name and my job role?? also the presentation is all about how i promote language theory in my nursery setting so i am a little unsure about how to start it really. Since I have NO idea what that is, it’s hard to give you an answer. Why is it important or interesting? Any stories about what happens when it doesn’t function properly? Hi. I have to do a presentation over a lab that I did-oil spill cleanup. I’m not sure how to start. Could you give me some pointers, please? Thanks. I am a student in the high school , I am going to give a presentation next week about positive thinking , I wonder how to start my presentation especially that I am with 3 friends in it ! Tell a horror story about an oil spill cleanup or just silently show some photos of birds covered with oil. Something striking. Unless your teacher expects you to introduce yourself, you don’t need to, since everyone in the class knows you, right? If it’s a huge class, that might be a different story. You could intertwine something about yourself into the business proposal — something about you that led you to decide that this proposal was the right thing. I am close to recruitment in a university as a lecturer, and before the official joining, the faculty head asked me to present a favorite topic of mine in front of the rest of the faculty members. I decided to present my Master’s thesis, but how would I introduce myself in front of my future co-workers? And what other details (apart from education details) would be relevant in the introduction slide? Samir, Congratulations on your new job! I don’t think you want to put more than your education details on the first slide, but I think you want to say something verbally. You could introduce the topic of your Master’s thesis by saying something about how your background led you to this topic — so I’d add something personal because your future co-workers also want to get to know you as a person — but as a professional person. So don’t make it TOO personal. Think of something unusual or especially interesting about you or your background or your goals and start with that. Then go on to the rest. Good luck! i’m presenting a powerpoint presentation in front of my classmate together with my groupmates, I just like to have some tips on how to start my topic about recommendation report.? Hi there, I am a grade 9 student and I have been assigned to do a presentation on the book ‘hatchet, by Gary Paulsen’. I am not too sure about what would be a good introduction to it, keeping everyone interested and involved. Since I know nothing about the book, it’s hard to say. Is there a surprising fact that you can find about the author if you do some research? Perhaps you can find a review of the book to find some background information. Did the book have an impact on you that your classmates wouldn’t expect? If the other students haven’t read it, is there a reason you think they should? How might it change their life? Im having a presentation about online shopping and I need help with my intruduction. Would you help me please? Hai,this page is useful to us.I am doing my 3’rd year B.E. (EEE).i am going to present a paper on power electronics and drives.will u pls help me ? in wt way i have to introduce myself and impress my audience to my topic? Hi Ellen. Judging by the number of comments and hits on this post, it’s a topic on many speakers’ minds! As you say, when speaking, your 1st impression lasts. I agree with many of your points, like the importance of whetting people’s appetites, and saying what they’ll gain. As you say in your post’s last bullet, you can also use a short, relevant story. I really like those, as they can be one of the best ways to connect with your audience. Here’s a handy video by Patricia Fripp (professional speaker). It goes straight to 5 different examples that could be very handy. By all means, let me know which of those you like. Thanks for all the tips and discussion here, Ellen! Hi, I recently join a company, and they told me to do a presentation on SDLC(Software Development Life Cycle. The problem is I don’t know how to introduce myself before the topic begin.. If everyone there knows you, you don’t have to introduce yourself. If they don’t, I suggest that you ask someone else to introduce you and say why you were chosen to do the presentation. thank you for every thing you do. what i need to ask about is i’ll do a presentation of my self as a final test to get a job with the company(oil and gas company) what steps shoud i fallow to present my self as well. Think about what the employer needs. Rather than talking about yourself, talk about how you can contribute to the success of the company. Do some research on the issues and future direction of the company and address that. Finally, be sure not to use slide after slide of bulleted text. Instead, make the presentation as visual as possible and practice giving it so you know what to say without reading the slides. Good luck! I am doing a presentation on Emigration to Canada during the Famine. I am giving the talk in front of class mates and don’t want to introduce the presentation by saying ‘Hi my name is’. Can you give me any advice with regards to coming up with an interesting introduction. Much appreciated. Nichola, I think your instincts are right. I’d just dive right in with a surprising or shocking fact or statistic about the emigration or the famine to bring home the emotional impact the situation had on the people involved. Are ask the audience a question. “What would you do if you had no food and your children were starving?” Good luck with the presentation! I am doing a presentation on indian civilisation, can you please help with in how can i start my introduction and how to get the attention of the people listing ? Hello, I have a presentation on American Conservative Union, and I don’t know how should I introduce the topic? I have final research presentation for completion of my degree in BS biotechnology. I am thinking how to start my presentation in a most memorable way as it has to be really formal and I wont be allowed to show pictures or tell a story or anything to get attention. Even in a formal, academic presentation, you can talk about wh6y biotechnology is important. And you CAN tell a story. The story might be of a researcher who was the father of the field, or who made an important discovery in it that you found inspiring. In the end, you can say that you hope to follow in his or her footsteps. You can talk about the possibilities for the future. All of these things are academic and serious and in fact they are what inspire scientists, so they are appropriate. I was typing a “Reply” to a devotional, copied it to Office Word and wanted to know how to put in an “My emphasis” to a portion of a Biblical quote. I put this in a parenthesis, but the grammar-check said it was improper. So I asked for “Help” and your site was suggested. 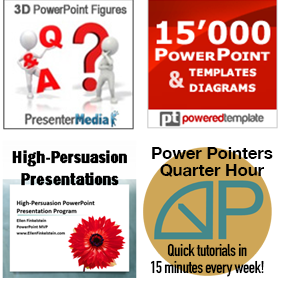 I connected, saw NOTHING regarding that topic, BUT THEN saw various other items of interest, most especially on “presentations skills” and FREE “public domain pictures and images.” These are for “PowerPoint,” which I’ve never used (yet). Hopefully these pics and images can be used in “Word” and other word-processing programs. (I’m a slow learner. It is doubtful I’ll try learning “PowerPoint” (though I have it) because I am also retired and physically-challenged. I am giving considerable thought to giving a presentation or two here at the retirement-apartment building where I live. The motivation is to get the many self-elected cloistered residents out of their apartments to participate in some stimulating activities. Others have tried with little success. I have made it a goal. With Gods’ help, and from experts like yourself, this goal will be realized. In my early 20’s, I was a radio announcer. Later, while in college-seminary, I took training in speech-making and giving, as well as some TV broadcasting training (mostly course-work only). I gave a few presentations while an intern in a parish in Chicago, and have preached a few times (though not as effectively as I would have liked). Therefore I feel qualified to give presentations which might stir up these people. But I could use some pointers. I could not resist commenting.Perfectly written! Hi, kindly please help me as I’m doing a presentation the topic is about reservation brand standards audit as I’m working as a reservation sales agent. How would I start with the conversation? Looking forward for your reply. Jamila, I have no idea what “reservation brand standards audit” means, but perhaps your audience won’t either. So start by explaining why they need to know about that topic, why it’s important to them. You could start with something like, “Did you know that…. ?” Good luck! Hii..i am 11 grade student.. my presentation is about smoking . I dont know how to begin it with a good intro. So pleas can you help me ? Hey, next Monday I’m going to have a presentation about the United Kingdom, I’m going to talk about United Kingdom: tourists attractions, what it’s famous for, the famous food, the popular sports, festivals and the cities in there, but I don’t know how’s the introduction’s going to be, so can u please help me with the introduction and please reply it soon.. And by the way I’m in the first year of senior high school. Lina, you seem to have lots of material, so just pick one fact that’s especially surprising or interesting and start with, “Did you know that…?” that will get your audience interested. Then you can say something like, “In this presentation I’ll tell you more about this as well as other interesting information about the United Kingdom, so come join me for a virtual journey.” Would that work? That would work, thank you so much:) , I’ll tell you how it goes on monday after the presentation.. I guess I’d start with some “do you know?” questions that are about the problems of regular concrete pavement — that sets up the point that there’s a problem. At the end, I’d summarize how pervious pavement solves those problems. Tell me how to start ,how to take interest of audience towards the topic and how to end it. Plz Ma’am reply me soon bcz I’ve to present it On this 8th Sept .
Look at my other responses and adapt it to your presentation. You’ll be able to figure it out! Good luck! hey I m 10th standard student and want to give presentation on topic Goal of my life…so please suggest me some slides related….and my goal is software eng..
hi, i am doing my PG ,i have to do presentation on accidents- road,rail,air and marine. but i don’t get any interesting thing to start with…can you help me with that please. hei, this is M.BILAL GHAFFAR. I have to give presentation day after tomorrow about “THE GEOLOGICAL SURVEY” so how can I introduce myself onto the stage in front of my classmates and respected teachers? i hve ppt 2maarw n i wnt 2 present it in d stage without any audience only judgeses e der……..so hw shuld i start it……..
n i want to know how i start my any presentation..?? its very awfull when i say my name….bla bla..!! bcz all r my classfellows n they know me…. Not to sound rude but if people looked up prior to posting you would notice Ellen’s examples of introducing yourself to co-workers, class mates and random people. I haven’t needed your help before because for some reason I have a natural talent for speaking in front of people but trying to explain this to a partner was a little hard. So I “Googled” and found this wonderful post. I was able to direct my partner on her quest to “WoW” her classmates at college, she wants to become a teaching assistant and had to do a presentation at college of her chosen category. James, thanks for your kind comments. Yes, I do get lots of comments asking for information that has already been answered many times, so I’ve stopped answering most posts. This topic is definitely a hot one, because it gets LOTS of traffic and comments. I’m glad you found the post helpful! Anisha, write up a script and practice it. Use the information in this post and read the answers I’ve given everyone else and you’ll have plenty of ideas to do your best. Mam, I’m a student of Business administration. I’ve to give a presentation on service strategy of a renowned service company of Bangladesh. As, the presentation requires 25% mark in my marketing course, so i’ve to give a very creative presentation. i want to start my intro part during my presentation which will be very attractive to my instructor and other students. So Mam, please suggest me about a attractive introduction part during presentation. Hi miss, this is me again lina.. I need help with the introduction. I made an introduction but my teacher said that it’s an awful introduction.. This is the intro that my teacher said it’s awful “do you know that there are 4 countries that made up the uk? In this presentation I’ll tell you more about this as well as other information about the uk..” how awful is it? Can you fix it for me? I’m going to talk about the scientists, flag history , tourists’s attractions and what it’s famous for.. the presentation is on Monday, so please reply this before Monday, I’m afraid of him, he gets furious easily especially when someone made a mistake, a tiny bit mistake.. The principles that I discuss in this post don’t change for a short presentation, you just need to collapse everything. Look through my post and my answers to others, and you’ll find what you need. Im havving trouble explaining why is it important to have a healthy and balanced lifestyle and Im just in 5th grade. 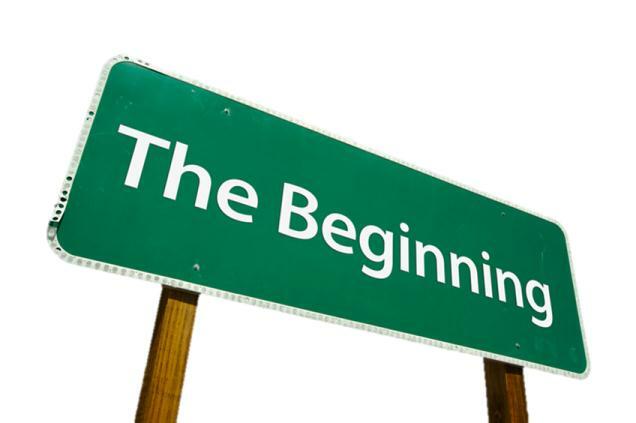 How should you start the introduction if you dont want to include your name on it? I am planning to give a presentation to my work colleagues on importance of policies and procedures in workplace and how we can write polices and procedures effectively.I am struggling to find a good introduction so I can catch the attention of audience.Can you help me with a good opening for my presentation. Hi miss, i have a diary book of mine which i write it all may family and friend, on every person there is a paper for him/her to put a photograph and some note.i am the owner of the book, but still my paper is white.Although it is not big case but really it means to me a lot.p/z can you help me how i can introduce my in this case. I recommend making the introduction as short as possible. Get right down to the main content as soon as possible. Introductions are usually pretty boring! I have to give an 8 min long presentation. How long should the introduction and conclusion be? Maybe 30 seconds each. Very short. A couple of sentences. i am preparing a power-point presentation on cross-cultural communication.give me some valuable tips.please. I’m a final year student in my university and I have to do my research presentation. So, I want to know a better way to get the permission from a judge panel in my presentation. Hi..i am in b-tech 2nd yr. There is a task for introduction of yourself by ppt in lab.can you help me how will i start and what points sould i include in my introduction. w can i start/ do to present on the stage ??? A way you could state your topic AND make it interesting is by saying, “The topic I have chosen is water pollution because….” and then explain why it’s such an important topic, with a surprising or scary fact. hi, this is tanbir student of BBA 1st year major in finance and banking . How can i start my prenentation on finance theory ? ? I exapected ur help. I’m doing a presentation end of March and I’m just wondering whether you could give me a hints or tips please.Our presentation is regarding ‘ Something you would like to change or improve ‘in your area or department . Any of the suggestions in the post should help you. iam a student of nutrition &dietetics. Iam going to give a presentation about stess problems in elderly. Can you help me how to start & what point should I include in my introduction? As stated in the post, choose a surprising fact or ask a question to get the audience’s attention and interest. I’m a student of 10th grade.I have to give a presentation on transformer.How can I start and I have to also give an introduction. Hi, Ellen… am student of commerce and am suppose to present my class in the coming week and my topic of presentation is “Advantages of social media for small businesses”… I want an effective start and an strong ending note. can u please help me out in this regard ? my tropic is rain technology.i am a 3rd year cse btech student.i need your help for presenting my tropic in introduction and as well as finishing part.how can i start my tropic and how end it.please help me to overcome this situation to say what shall i say. Hie I’m a fashion business student of foundation level .i have to give a presentation on steve madden . Can you please help me how to start ? Just use one of the techniques listed in the blog post. Also see my replies to previous comments. Just use one of the other techniques listed in the blog post. Also see my replies to previous comments. I’m no longer going to respond to comments on this post, because I think that the post itself provides the answer to all the questions. I keep repeating, “Just use one of the techniques listed in the blog post. Also see my replies to previous comments,” so there’s no need to say it again. Thanks for making this one of the most viewed posts on my website and good luck with your presentations! I am goingto give powerpoint presentation first time. Can you please help me. I’m giving ppt presentation on the topic ‘why’.it contains the concepts about reasons behind logos design,yoga,traditions etc.I want to know a good introduction and conclusion . I have a presentation regarding my poor performance and how to improve it to my directors, now I need to know how to start my power point presentation. I have to do a presentation about how i want to be remembered after school is done, what should i do to make a good intro? I list the steps of preparation at http://www.ellenfinkelstein.com/pptblog/successful-preparation-is-the-basis-for-a-successful-presentation/. Hi um im in college and my teacher has the class making a powerpoint presentation on our majors and my major is computer science. Whats the best way to open up the introduction and end it? am suppose to train data entry clerks please give me a good introduction part. I m Amit Kumar. I’m preparing for interview for my next level, means for promotion. My boss ask me to make self intro PPT. I have no idea for this. What are those minimum things I should present in self intro. Amit, all the ideas I have are in the blog post. Im a foundation student from laureate university. im going to give a presentation about ” when start a business, the environment factor is very important”….i wanna start with a interesting greeting and introduction..can u give me an example? Well, why isn’t it? You could start, “You might think that having access to Google is all you need. Today I’m going to show you why you’re wrong.” Just a suggestion. Hi my name is jahira. I am an incoming high school senior and I will be presenting a power presentation to FAMU professors on muscadine grape berry development and would like to know how to engage them. I don’t have perfect grammatical structure when I’m writing or speaking to large groups of people. I feel as though I use correct grammar when talking to a teacher someone of great importance, like if I’m trying to get a job or am getting to know someone personally. could you please help me? I present in 2 weeks. Hi, im a social work student doing my internship with farm workers. i need to present my proposal for group and community work that im going to do with them. i dont know how to approach this population as most of them are uneducated. how do i go about to catching their attention and for them to be interested in what im about to start doing? You need to find out what their issues are, rather than telling them what you’ll do. I’d start by asking them what they need and start a discussion that way. i am a student of 10th standard . I am introducing a skit / drama on election campaign . Suggest me some heart touching lines . I have to give an introduction on Mexico peso crisis how should I start…. Hi!i am a student of batchlor of computer application.i have to do a presentation on topic.i am preparing a power-point presentation on “internet”. now I need to know how to start my power point presentation. Can u please hlp me how to start n end my seminar presentation, esp how to introduce myslf?? I have to do a presentation (power point) on Kinaesthetic Intelligence (Body Smart) and have been thinking about various ways to make it a very intresting introduction…..however I am having trouble. Can you please help me? I have a presentation on Monday on the muscular system and fibre type. I am struggling on how to do the introduction and the conclusion. thanks for the help i hope it will help me. hello , I am an engineering student(final year). I have to give presentation on endoscopy can u suggest me or help me how i can start with introduction n make it lively rather than typical boring presentation. hello, i’m a first year student. I have to give presentation about the topic:” factors to be put into consideration when making packaging decisions” can you help me how i can start interestingly. thank you very much! Hello! Great tips! My question is, after they introduce you, do you directly go to the opening or do you first acknowledge the introduction and say hi to the audience? I am 1st year student of business school . And i have to give presentatn on the topic terrorism . Please help me how to start. And how can i make it best. I need to the opening for a presentation, where we have a guest speaker but I need to I need to introduce my colleagues. How do I go about doing this? I am senior mechanical engineer and I am supposed to present something about safety for our employees in our head office. So, how can I introduce this kind of presentation? I want to know that “How to introduce ourself in group presentation” and also need some starting tips on topic ‘UNEMPLOYMENT’. Thank you. I am going to introduce my group in the play the bishops candlesticks. How can i make my intro energetic? I am a 6 grader doing a presentation with my friend for STEM expo project. We don’t know how to introduce our selves. Every one knows us and we were looking for help. Hi, I’m Sharjil Malik Student of software. And a topic is assigned to me “Should Elders over 65 be allowed to drive”. I am just confused that how i introduced myself because it is ma first presentation. How can i make my Intro Energetic and Attractive? I am 11 standard student and I have to give presentation about operating system. Please help how to start speech and be excellent one. Hey.. i have a presentation on topic ORIGAMI and m not understanding how to start with it.so can u help me how should i start my presentation? Hello! I appreciate your effort madam for helping others. Thanks for the idea you’ve share. God bless! I am doing a presentation about Syrian children refugees. Please if you can help, how should I start it? hello mam,i am the student of M.SC final .your suggestion are very effective ,I am very happy to see your experience, the ways to solve the problems. please suggests me how to represent the topic “DETERMINATION OF IRON IN ORES.From what i can start ..? haw can i introduce the topic? haw can i have a perfect Conclusion ? hi!am abt to defend my siwes.How to compose the intro.Pls do help me out.Thanks. Hi, I am starting this new group project at school about “Ethnic Enclaves.” My first assignment was to find a catchy and interesting way to introduce our topic, Chinatown, through a Prezi presentation, but I am currently stuck. Could you please help me? Hi. I have to make a presentation showing the comparison between indian and united kingdom hospitality and tourism industry. How can i make the introduction intresting? Why are all of you people asking Ellen Finkelstein to do your homework for you? How about you just read the article and write out your own d— introduction. hi. will you please reply. i had a problem one of my member in the debate doesn’t want to debate anymore in a a second time because of the topic that is too hard and she has nothing to say about it. during our first debate she want to debate because she is too confident to deal with it. but what happens now is in the second time around she don’t want to be in the position/debate anymore. what should I do? will you please help me about our debate? I am a B.Tech student and my topic is challenger disaster.How can I start it? I need to do a powerpoint on power and conquest in our world or in reality. How would I come up with a question to begin this introduction and to get my audience attention? Great article and commentary Ellen. Thanks a bunch! That might be different but how to make a presentation about my research in three minutes .. This is a competition.. The presentation should be catchy too . My topic is very technical and I find it difficult to attract general audience to the topic ..any advice? Since I don’t know what your research is about, I can’t be specific. Einstein said, “If you can’t explain it to a six year old, you don’t understand it yourself.” Think about what’s important and the conclusions, rather than the process. Good luck! I’m doing a presentation for a report, amazon as the topic, but the discussion should run the facts about Freetime ulimited subscription. I’m doing an introduction to a new institute of foreign languages, i need the audience accept our institute will be helpful for all their students! How can i start my presentation? Hello Ellen Finkelstein. Could you please tell me the way how to attract the listener to listen me carefully? Hello Ms. Ellen, I have to do A senior Portfolio based on the elements of Self-Disciplined, Life-long learner, Global Citizen, Self-Motivated, and Articulate, but I am not sure How, to add personal accounts into each, plus make sure it is all worth at least 15 minutes. I am currently doing a Bsc in Banking and International Finance and I have a group class presentation of this title” The End of a Company through Liquidation” but am blank since i will be doing the opening, i do not know how to start introducing on the above title. Hi i am 3rd year student in rural development department.there for i have the adeffence on my research.so help me how can i begun my first presentation in the class. I have recently joined an organisation which deals in selling of the photographs.Being a sales person i need to present my company and its services along with a small presentation. Would request you if you can brief me some points to start the presentation. Prasam, it depends on the situation. Do you set up the appointment in advance with a phone call during which you explain a bit about your company? If so, I’d be careful not to start the presentation with boring details about your company — instead go straight to the products and its benefits. At the end, you can use that content as reassurance that they’re buying from an experienced, reputable company. Hi I am a student at a particular college. I am doing a presentation on communication to a group of people who do not know me, how do i introduce myself and make them interested in my presentation. pl tell me how I introduce my self in a different way. i m a graduating civil engineering student and i taking internship on solar power plants regarding the requirement of civil works and i have to present a ppt on it how to give a good start could u help out. I am doin a job in which I am given a job to make a speech on introduction to the scrabble game which would be given to a scrabble team leader to revise and then say in the tournament! Not only introduction but a type of speech and it will also come on media n Internet n TV so it should be specific so please help me make a speech plz! my names hamse and I learn iou the last I research some one can help me finally I get for you .if you help me just I said for you jasakallahu khaira.I went to help me. this year I finished the university the manager told for me you are the present for the garduation,and many people come the garduation maybe the president came,and it is my first time that I stand infront of people,tell me what I can do first,second and third.to present confidecly. Hi I’m Aurna Bhuiya. I’m a B.B.A. student. My power point presentation is about “why insurence is not successful in Bangladesh ”. So in this topic how i present myself and how prepare my power point slide? Please help me..
Hi,Good morning I am Renuka completed B.com. My question is how to start introduce myself and team? please help me quickly. hello . i just doing about doping in sport should be ban for life but im not sure how i can start it, can you help me how to start with interesting things? Hi I am Sumit I want to give a presentation on gender sensitisation, how to make an impressive beginning and carry it till end? i have a presentation on our country Constitution can you help me that how to start..?? em a bit confuse because its a group presentation and em on 2nd num so i don’t know how to start.can you help me plz. In a group presentation, the previous presenter should introduce you, saying something like, “Now Sama will explain how the Constitution was ratified.” Then you can just use one of the techniques listed in this post, such as asking the audience a question or stating a surprising fact. You should all practice the transition between presenters to make it smooth. I have a presentation that talks about the best features of a certain laptop. I don’t know what to write in the first slide that would interest them and make them pay attention to me. can you help me ? How about a photo of the laptop? If you’d like to create some anticipation, add leaders pointing to different parts of the laptop, with numbers at the end and say you’ll discuss the x best features–but don’t say what they are on the first slide. i am going in Winter Seminar of our logistics Industry & over 40 students are attending this seminar from all over the world & i am also the one of the student. I am swaróp joseph. I am a 8th grade student. i néded to take a seminar about c v raman for the school and everyone knows about him. so will you give me some more tips. how to manage my presentation within 15 mins..& how do i introduce myself and make audience interested in my presentation.Thank u…. Hi! I am a grade 8 student.I am from MYANMAR.Our team has to present about United State.I am team leader.I don’t know how to introduce my team.Give me some ideas.And we want to made the people who are listening to our presentation interested. Hi! I did an internship in school as a teacher. I have to do a presentation on it. My topic is classroom management. How can I start my presentation? Any suggestions? Hi Jumoke. Fear of speaking is common. Here are some tips. 1) Expect to be nervous; it’s normal and natural. 2) Practice a lot until you’re comfortable with your talk. The best way to practice is to videotape yourself using a smartphone or webcam, watch the video, and then keep repeating that until you see a good improvement. 3) Put your attention on your audience, rather than on yourself. Start by asking a question and getting a response from the audience, whether from one person or from everyone by asking them to raise their hand. By focusing on your audience, you’ll pay less attention to how you feel. Good luck! hi. I am a 2nd year student in LIT and i will be giving a presentation on the topic Internet of Things(IoT). pls how do start with greeting my course lecturer, judges and colleagues?.. i am the third speaker(taking IoT devices) and the conclusion. how can i get their attention without being nervous or stammering? That’s a great topic and I’m sure you can find a good beginning using the techniques I describe in this blog post. Even if you are the 3rd speaker, you should start using one of these techniques. Regarding being nervous or stammering, I recommend that you practice at least 5 times, both alone and in front of friends and family and that will help you a lot when you give the final presentation. Good luck! I m in college & have to give a presentation on ELECTRICITY.How can i make an intro more attentive?? hi. I doing a presentation on what I have learned for the past two weeks as a trainee at my job (recently employed). I’m not sure how I can implement your comments or grab my coworkers attention as I’m sure they have heard this many times. FYI I’m a civil engineer at an over seas country. Hii…my teachers gave me topic named women empowerment… What should be my first lines about this topic…how can I start the presentation? hi this is priyanka. my presentation to compare my office process with Film making.. could you help me to how to began my introduction.? Hi. I have an event tomorrow . and it’s a team up event for IEEE student branch. So their will be a introductory session before the event will start. I am promotional head of IEEE student branch. How should i introduce about myself to people? 1. The futuristic energy sources. 2. Graphene a strong metal. i need to present it to my juniors and the next level is to present it before the principal. can u pls help me with an intro. I have to create a video for a major Im trying to transfer into and I have to introduce myself. I don’t want to have a normal introduction where I state my name and my year in college. Do anyone have any suggestions on how I should start my video. I’m Sophomore and I have to make a presentation in front of my class but this is my first time, I’ve never done knda that before so It make me hella confused.. My topic is ” Way to recruit the right person for the right job? “. Is there anyone can help me. What should I do for the intro. Hi..I’m a student and I really need help on how to introduce my topic about a word web, so how should i do it to make it interesting. Hi, I am a Grade 10 student and i am opening a seminar for grades7-10 students about how to deal with family conflicts. Can you give me an example of how i can introduce this topic and not make them bored of the topic?? How to introduce the topic ‘discussion’ in nursing education? for a class presentation. im a grade 7 student and have to make a presentation on Napoleon and the Spectre,story by charlotte bronte…how am i supposed to make it brief and interesting at the same time? Sara, that’s a good question. The secret is to pick out what information people really need (or your teacher has asked for) and tell it briefly and then add a story — perhaps an exciting part of the story (I haven’t read it) and tell that to pique their interest. Be sure not to spoil the ending for them! Hi! I’m doing a presentation about chocolate to my class and don’t really know how to starts off.. Kinda bored of the: ”So today i’m going to talk about chocolate” kinda stuff.. Do you have any advice? Hello, I go to UOP and we are doing a group PP for Leadership, I have to come up with the introduction.. Where should I start ? Please and Thank you in advance. Hello. Can you help me please? I’m a third year and have to think of a good introduction. I am doing my powerpoint presentation on The negative effects of domestic abuse on elementary-school-aged children. I am also incorporating how there is help for these children and the cycle can be broken. Meghan, It’s a great topic and a serious one. Almost any of the techniques in this blog post will be useful. One example would be to highlight an important statistic. Good luck!